Merry Christmas Gothamites, and welcome to the last Batfan Friday of 2018! The Dark Knight has had a busy year, so he’s been rewarded with a quiet holiday at home in Wayne Manor with Alfred. 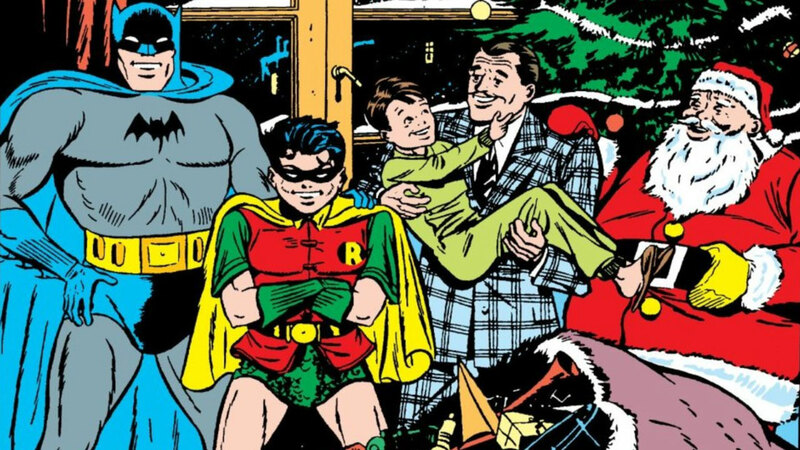 While Batman takes a long winter's nap, let’s take a look at a few of his more overlooked holiday tales, which you can read right here on DC Universe! If you’re looking for a great Christmas story starring the Caped Crusader, why not try the first one ever written in Batman #9? (Written by Bill Finger and penciled by Bob Kane, read Batman #9 here.) While delivering toys to a local orphanage, Bruce Wayne learns of a child whose father was incarcerated for a murder he didn’t commit. Batman makes it his personal mission to make sure father and son are reunited for Christmas. He even convinces a gangster Santa to reform after playing with the orphans warms his heart. 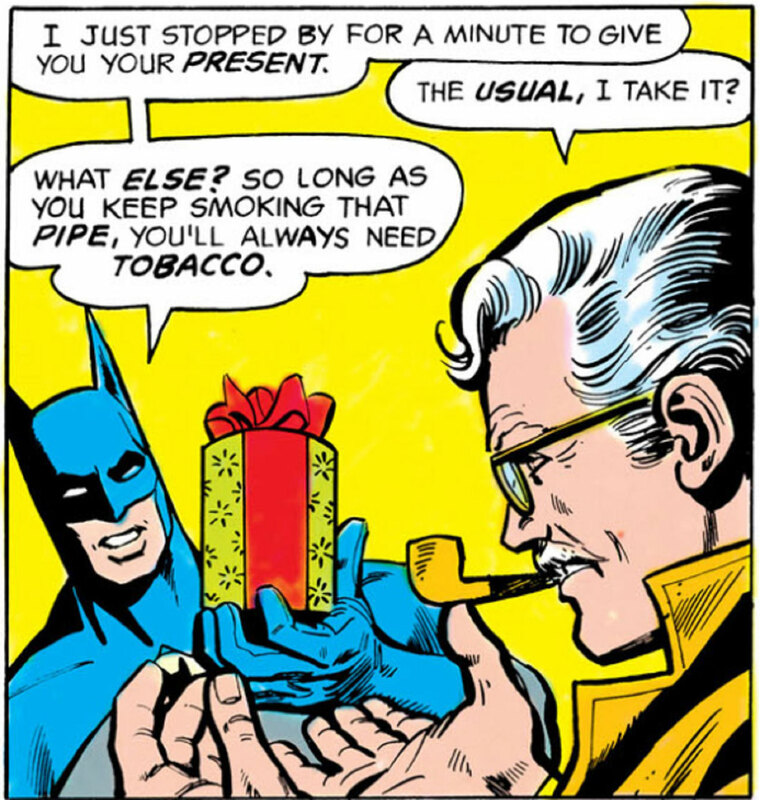 The story ends with Robin getting his Christmas wish -- his own holiday party at Commissioner Gordon’s home. In Batman #309 (written by Len Wein and penciled by John Calnan, read Batman #309 here), we see the lengths the Dark Knight will go to in order to save just one life. When a depressed woman decides to end her life on Christmas Eve, she calls the Gotham City Police Department since she has nobody else to say goodbye to. 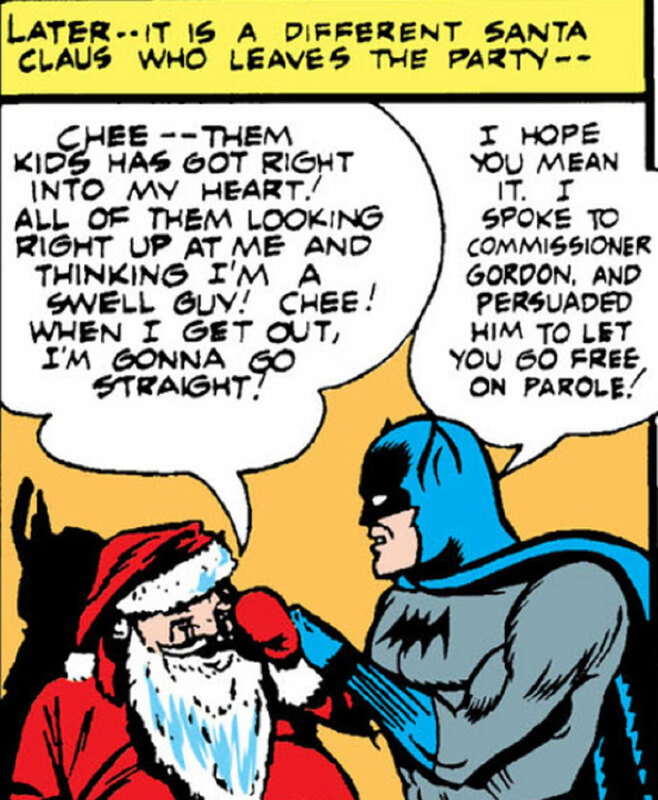 Batman happens to be at the police station, giving his holiday wishes to the officers, when he gets on the phone with the young girl and attempts to talk her out of taking her own life. When the girl hangs up the phone, and Batman finds her apartment empty, he searches the city for her. Along the way, he discovers that the brute Blockbuster is still alive, but also shares Batman’s goal in saving the girl’s life. This is a great Christmas tale, which reminds us that although Batman may protect entire galaxies with the Justice League, he won’t lose sight of just one life, no matter how insignificant it may seem to others. The Caped Crusader and his new team look into a series of holiday child abductions in Batman and the Outsiders #8 (written by Mike W. Barr and penciled by Jim Aparo, read Batman and the Outsiders #8 here). It’s the Outsiders' first Christmas as a team, and some of the members are melancholy due to the losses they’ve experienced in their personal lives. Meanwhile, Batman is investigating some missing children cases, and is shocked when the kids turn up as senior citizens! With the help of the Phantom Stranger, Batman and his team are able to save the holiday and return the babies to their youthful form. It turns out to be a great cure for the Outsiders' holiday blues! For more seasonal Batman classics, check out our list of the 5 Essential Batman Christmas Stories. To promote The LEGO Movie 2, Warner Brothers has released a fun holiday short featuring many of the film's characters, including LEGO Batman, celebrating Christmas. If you’ve ever wanted to see Batman in an ugly Christmas sweater, this is the holiday short for you! Batman, the Justice League, and their friends will be back in theaters (in LEGO form) when The LEGO Movie 2 hits theaters on February 8th. If you’re one of the many Young Justice fans counting the days until the team's January 4th return, make sure you check out the Christmas Eve episode of DC Daily -- in which the first few minutes of Young Justice: Outsiders were previewed! NEXT WEEK: A major character will lose their life when Gotham returns for its fifth and final season on Thursday, January 3rd. 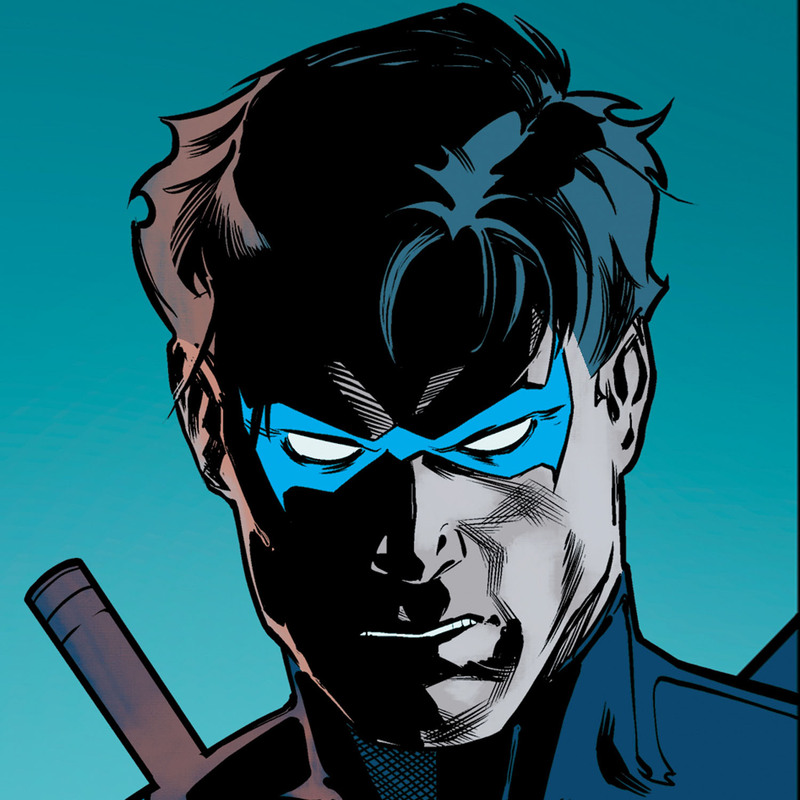 Batman blindsides the League with a shocking announcement when Young Justice: Outsiders premieres on Friday, January 4th. Alfred and Batman struggle to save Leslie Tompkins' life in Detective Comics #995. Batgirl struggles to get through to Harley Quinn in Heroes in Crisis #4. The Joker attacks the Gotham of the future in Batman Beyond #27. And Barbara Gordon tries to save the local Congressional race in Batgirl #30. We kick off Batman’s 80th birthday year next week, so make sure you don’t miss it. Same Bat-Time, same Bat-Channel. Until then -- Happy New Year, Batfans! What’s your favorite Batman holiday story? Let us know in our Community!